Tell us about times in which you linger — when you don’t want an event, or a day to end. What is it you love about these times? 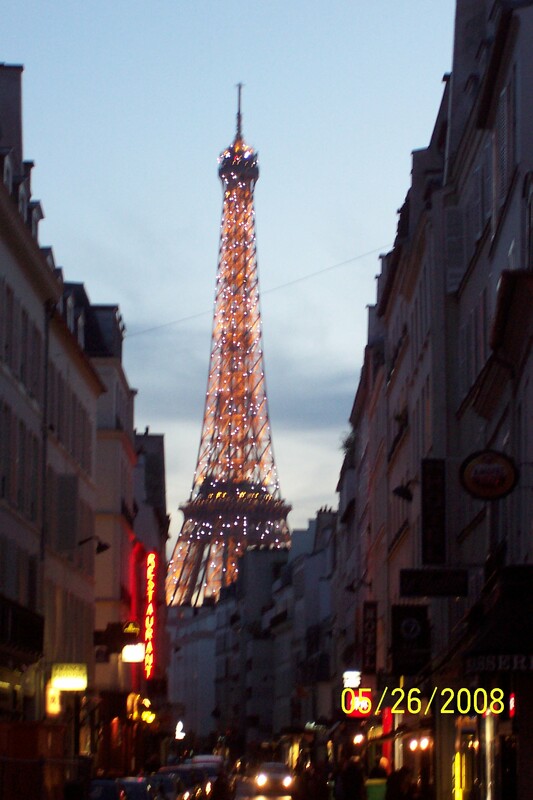 I’d linger almost anywhere in Paris. One warm, spring Sunday morning, well before the residents had begun to stir, Coco and I set out to explore the Marais neighborhood, first settled in the 13th century. 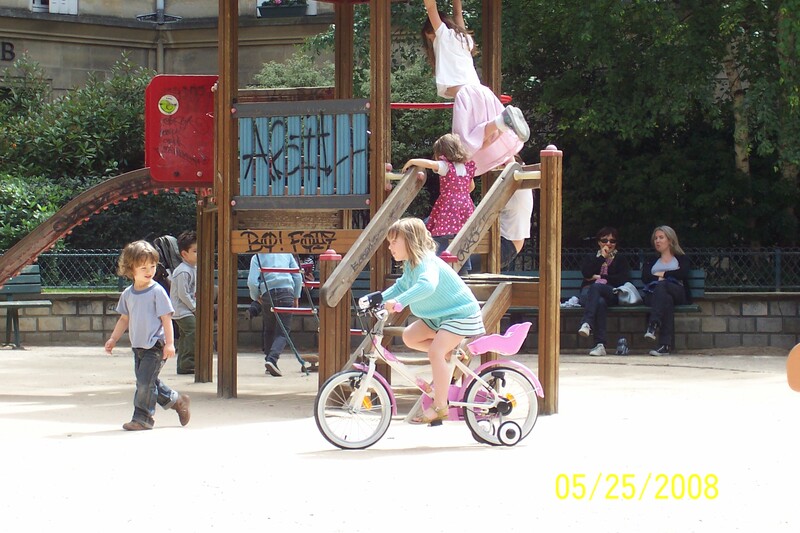 We came upon a small enclosed park, with a playground including climbing apparatus and a merry-go-round, at the back of a modest-size church. We walked through the gate and sat on one of the benches under a tree, planning to stay for just a moment. 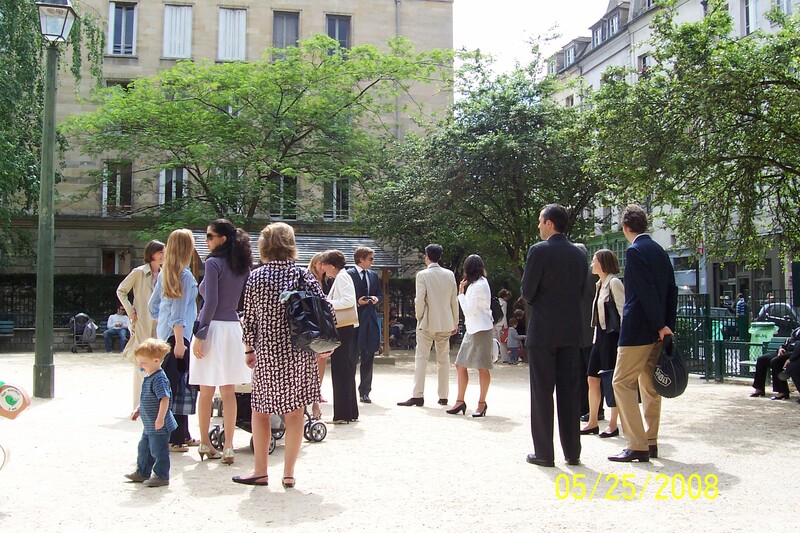 Then we watched as, one by one, four families – couples each with young children – entered the park from several entrances. 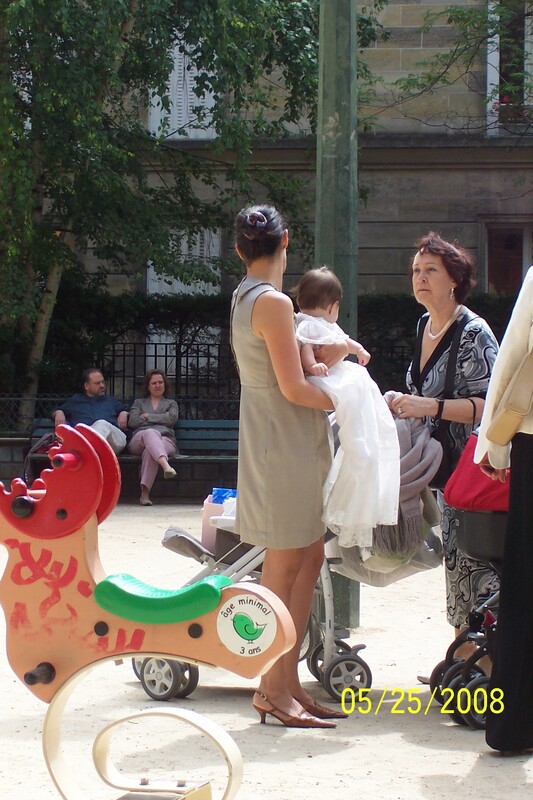 They greeted each other warmly, and the children raced to the merry-go-round with chatter of excitement. 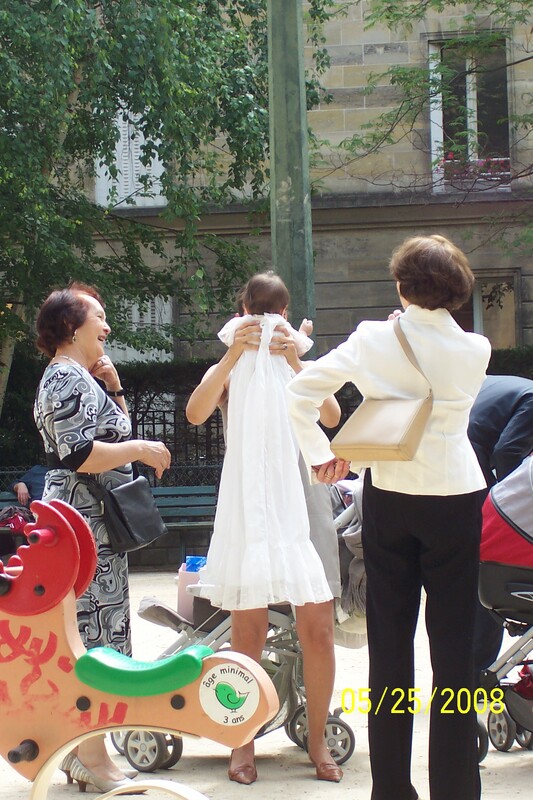 The last, elegantly dressed couple to enter the park – the woman carrying her baby dressed in a flowing cream-white gown – were obviously the reason the others had gathered. As they called to their children and slowly made their way into the church, I wished we could join them – lingering to witness the christening to come.